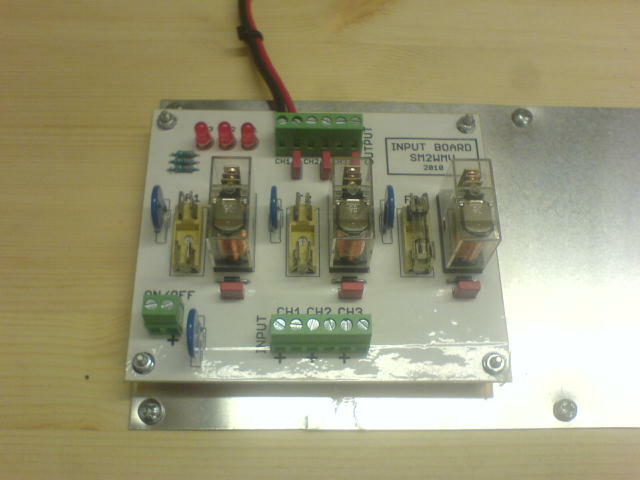 I’ve done some more work on the electronics at the station. 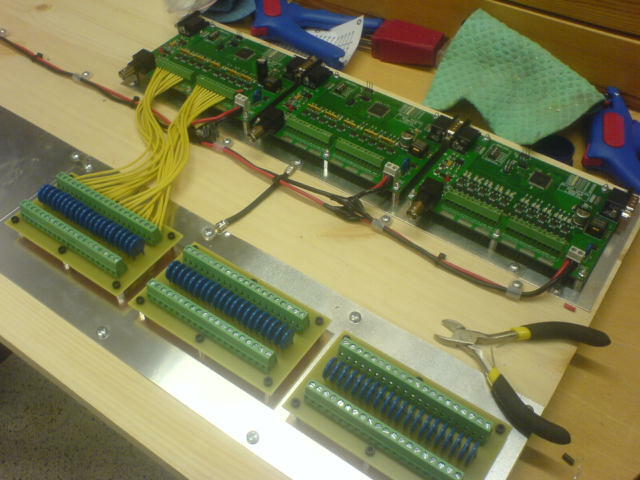 Now I am trying to finish up the driver modules which will control the antenna switch system. 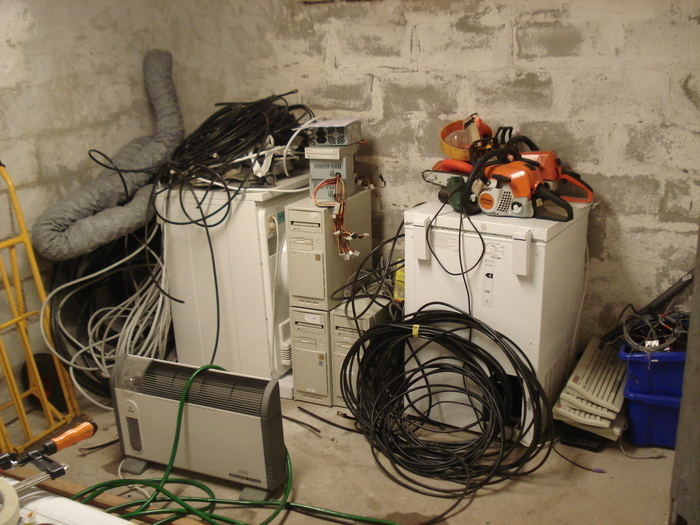 These cards will sit in a room in the basement of the house connected to 2 pcs of 60 leaded cables which leads into the barn in a separate room which will contain all antenna switches. 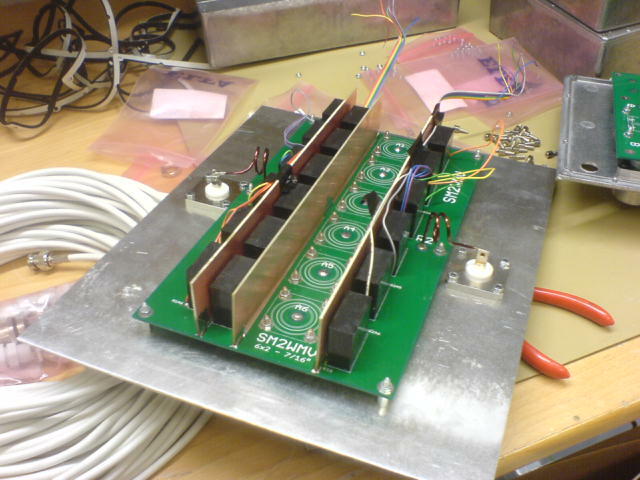 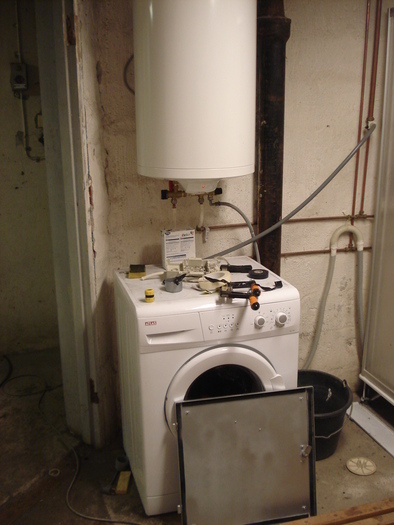 There are a total of 80 source outputs and 40 sink outputs which are controlled over the homemade openASC bus which works very much like the old coax Ethernet bus. 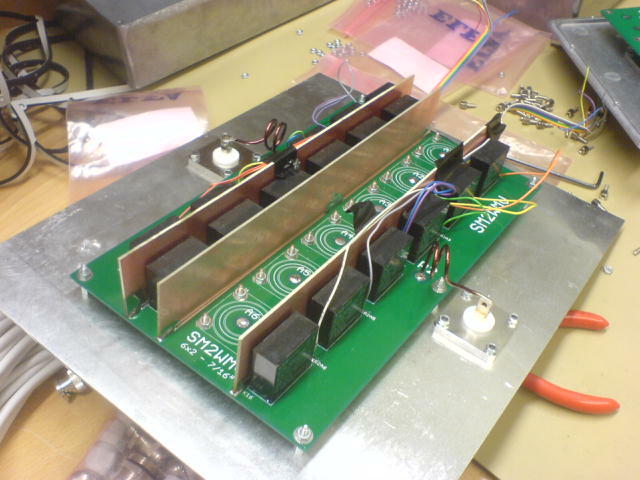 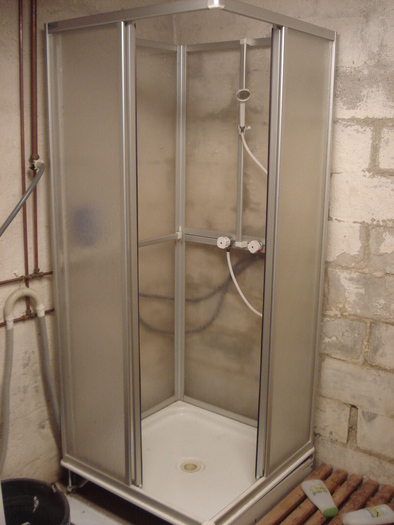 I will try to finish up this during the week so I can maybe install this within a few weeks at the station. 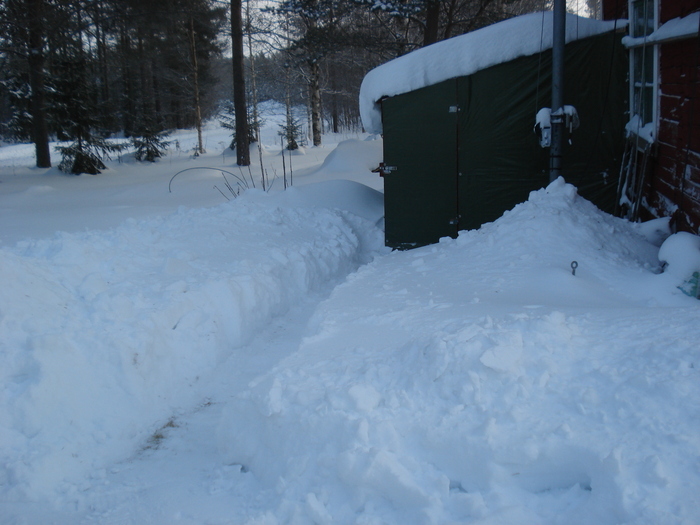 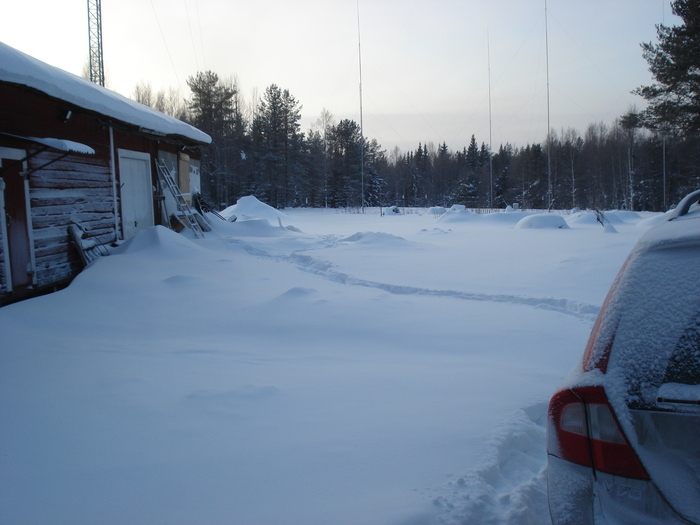 I will also try to finish up the antenna switch boxes so that system is installed before the snow goes away, because then it’s time for antenna work. 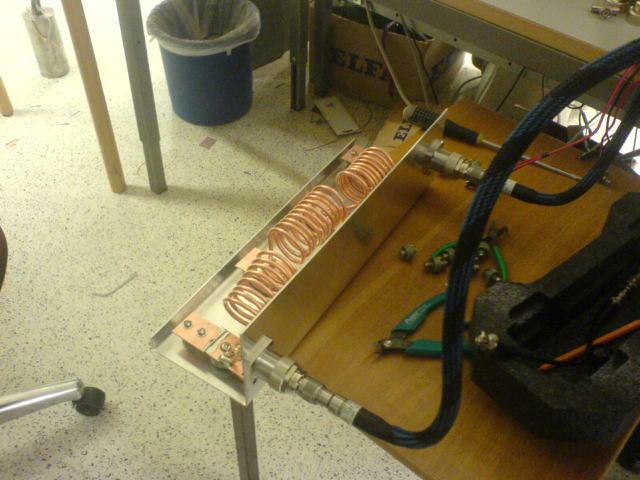 I had the urge to test to build a QRO low pass filter yesterday, which will probably be needed when we get the 40m yagis mounted in the 60m tower, since they will be rather close to the 20m beams. 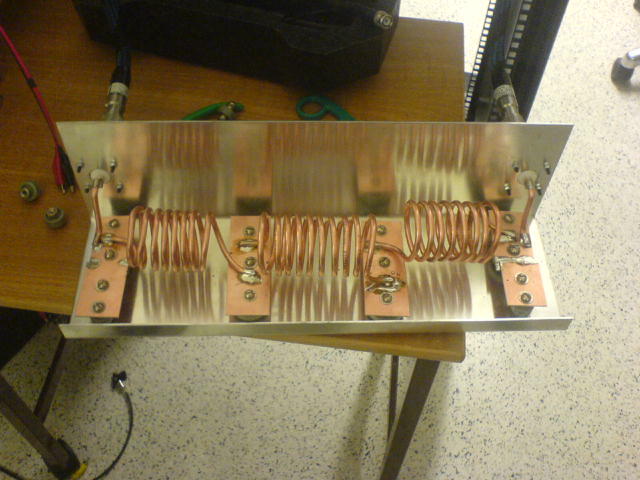 There are the expensive BPF filters from 4O3A but I figured that for TX filtering a simple LP filter should be just as good and by combining that with the regular BPF between the radios and amp that should be sufficient. 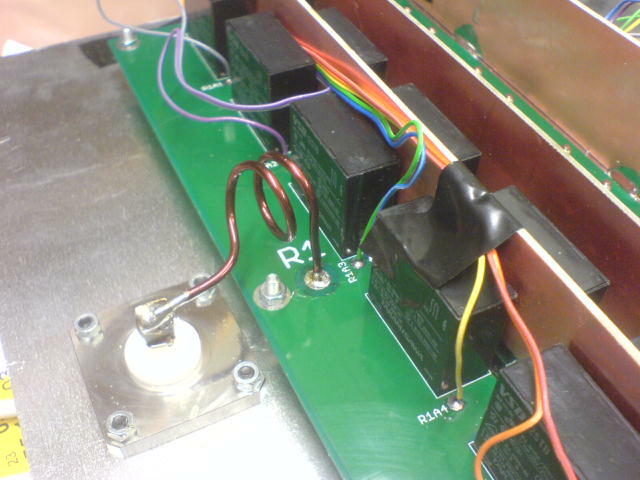 I did some simulations in a software called Elsie where I after I got pleased with a design I simulated the currents through and voltage over the capacitors and noticed that regular doorknob caps should be sufficient for QRO use. 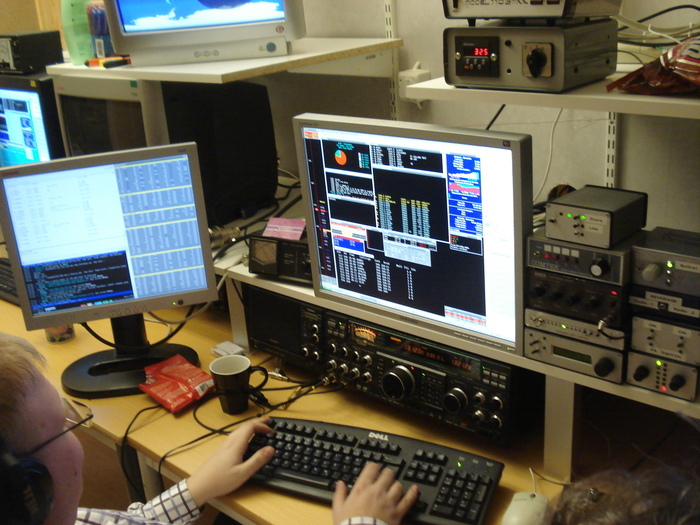 The simulations were done in OrCad with PSpice. 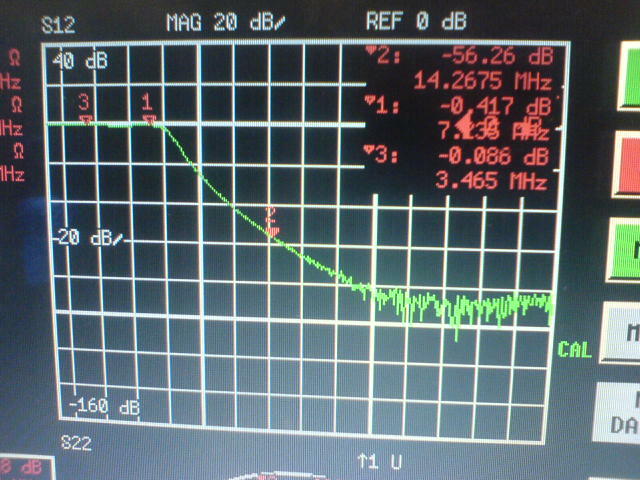 The filter is a 7-pole Chebyshev filter which has got 0.2dB passband ripple. 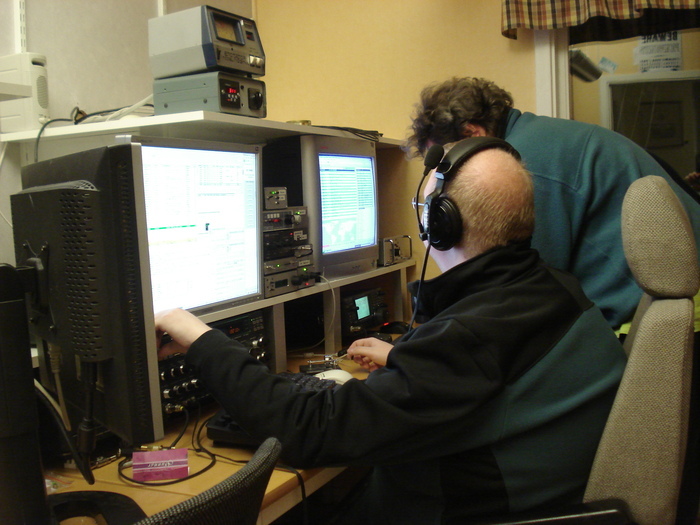 However I did place the -3dB filter breaking point to close to 40m so I will need to readjust the values of everything and move it up a bit in frequency, to improve the insertion loss on 40m. 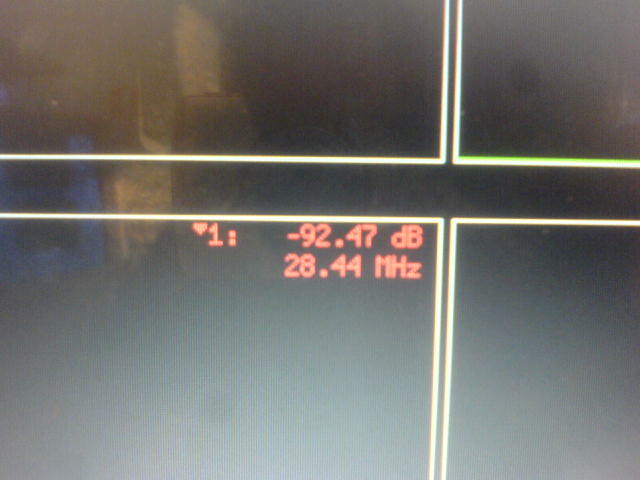 If I get down to 0.2dB I will be satisfied. 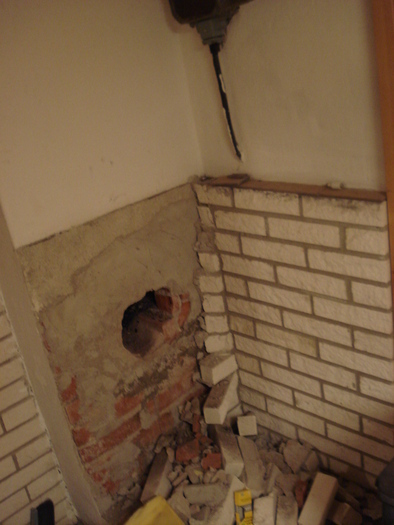 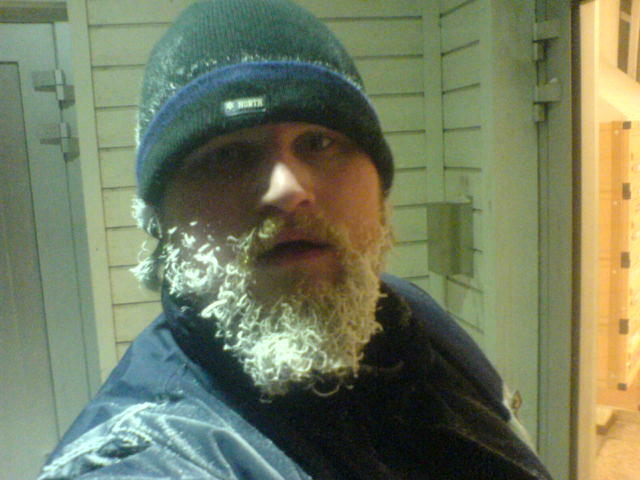 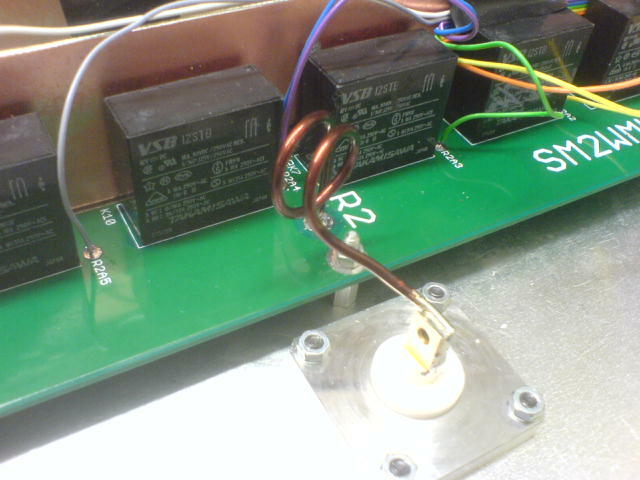 However when adjusting the inductors I accidentally broke a doorknob of a value which I of course did not have more of. 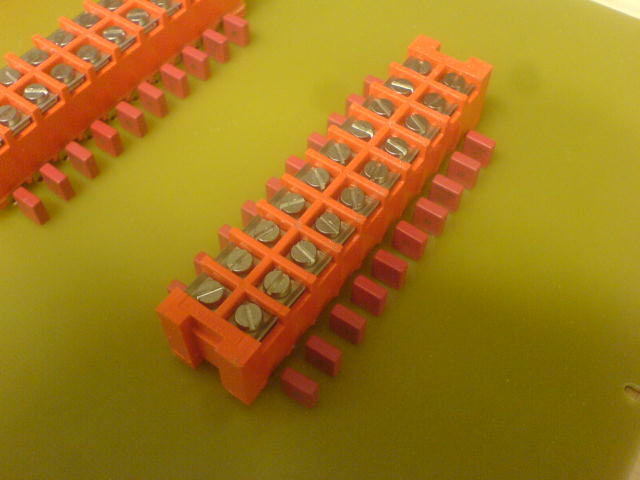 So I have ebayed after some extra caps for more testing. 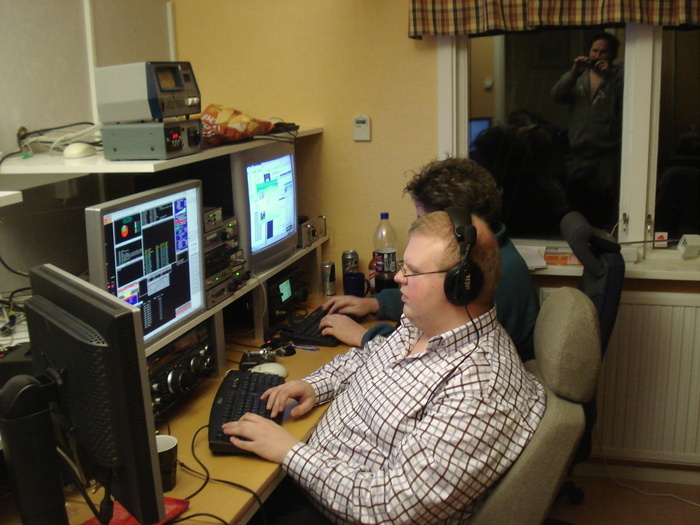 We had a lot of fun in the CQ 160m contest. 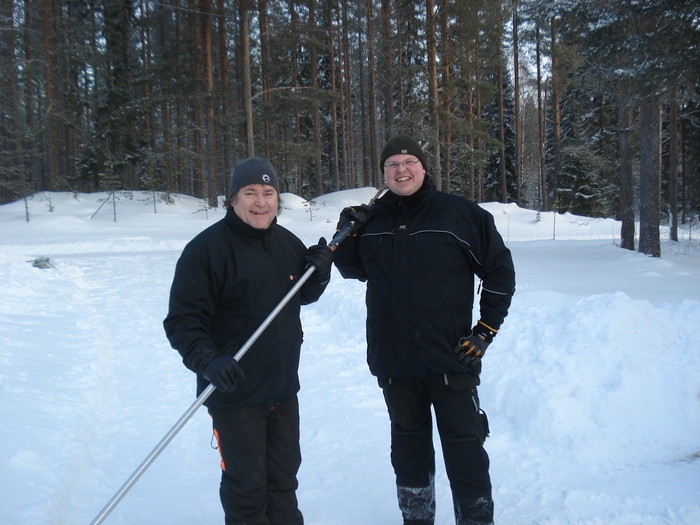 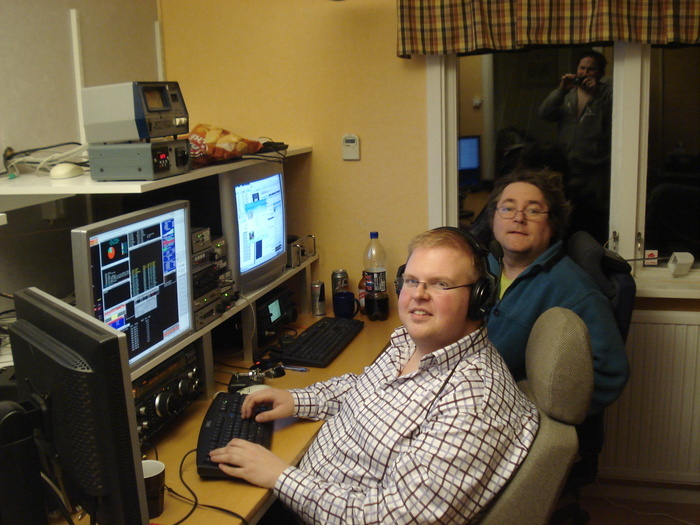 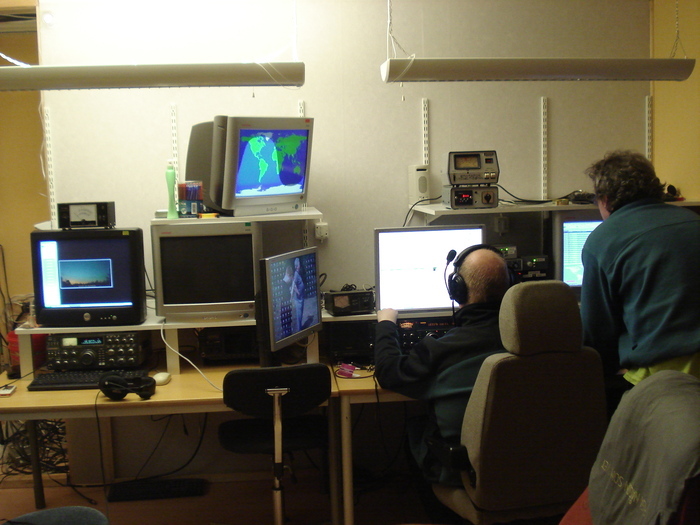 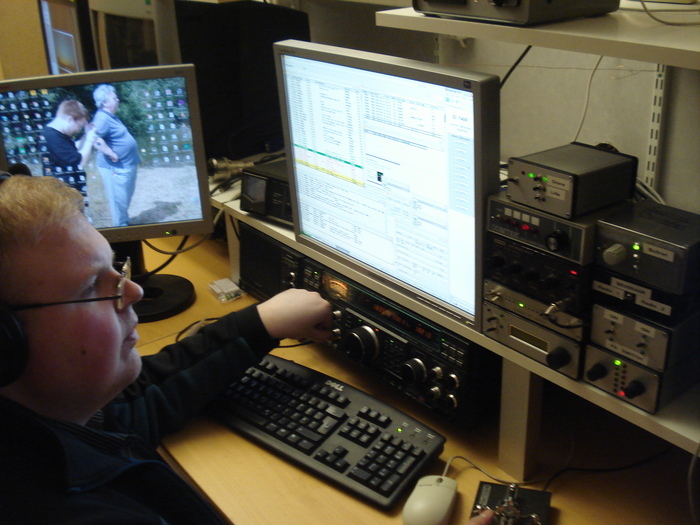 SM0W did visit us from Stockholm and did most of the operating together with SM2LIY. 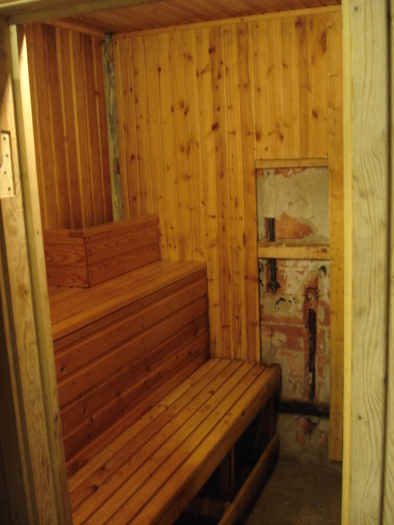 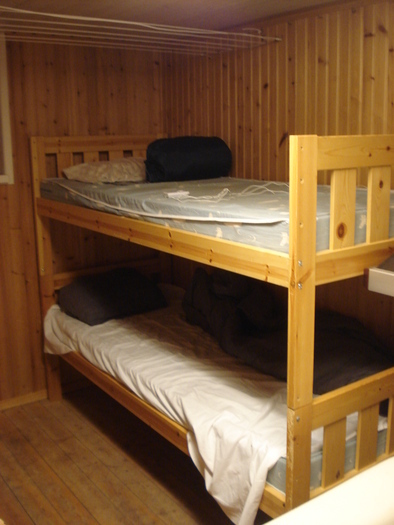 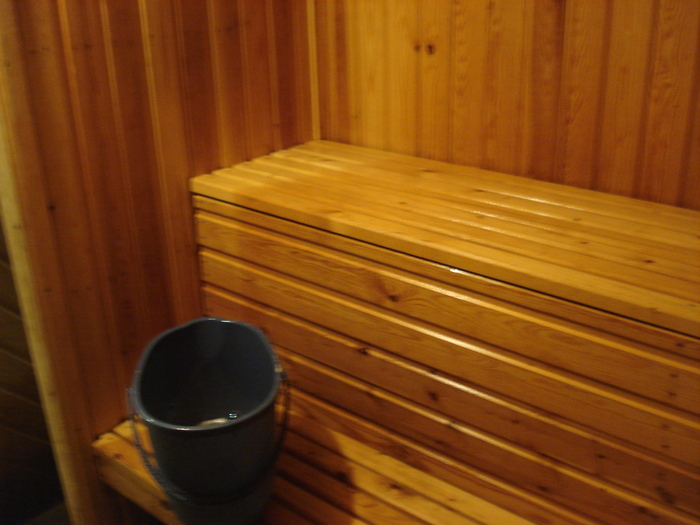 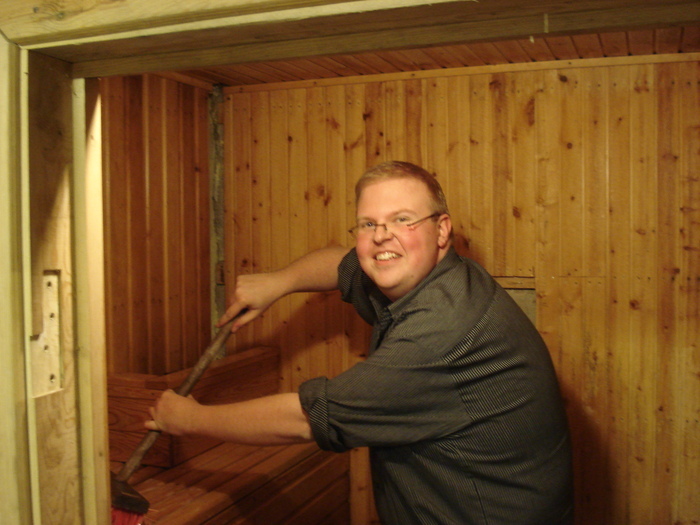 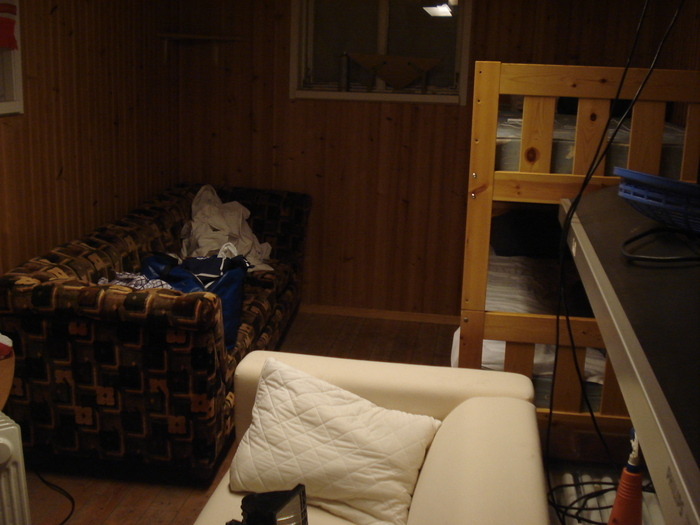 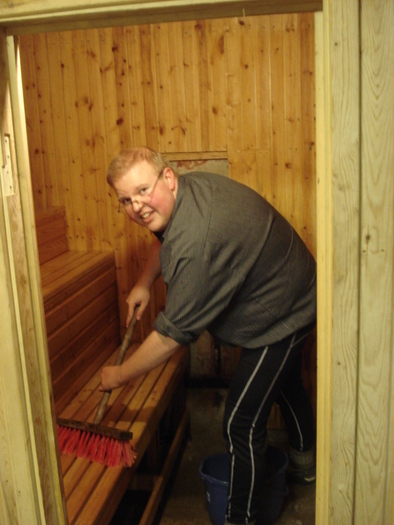 I had neck pain and was resting most of the weekend, however we cleaned out the sauna and had a nice sauna before and after the contest. 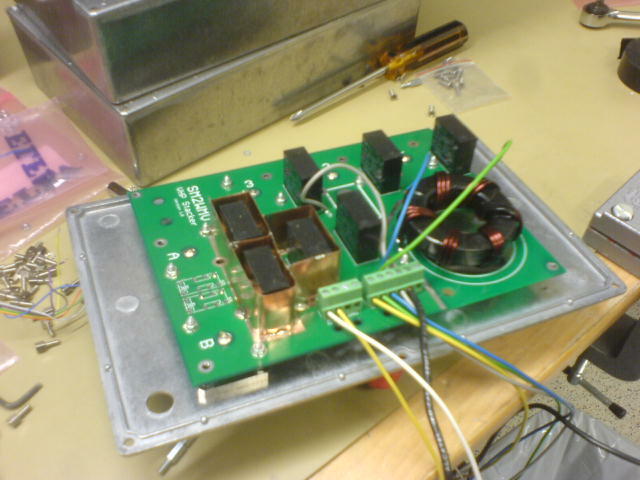 A while ago I designed a power split which has got 7/16″ connectors and A/B radio output which have high isolation just like the 6×2 switches. 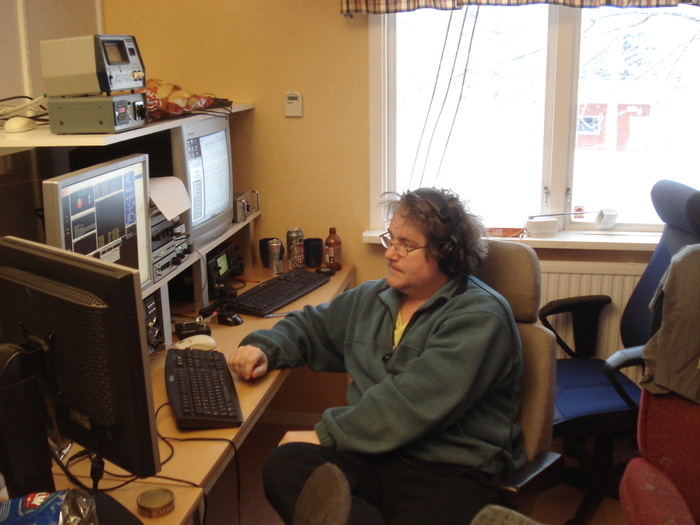 This way it makes it easy to interface my station so I can access all antennas with up to four radios. 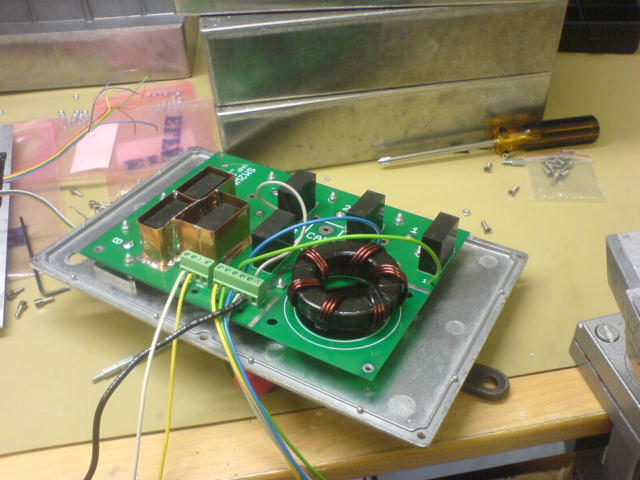 I did some measurements and without doing any capacitance/inductance adjustments I got insertion loss better than 0.1dB on 1-30 MHz and the attenuation between the A/B radio ports was better than -80dB on 30 MHz. 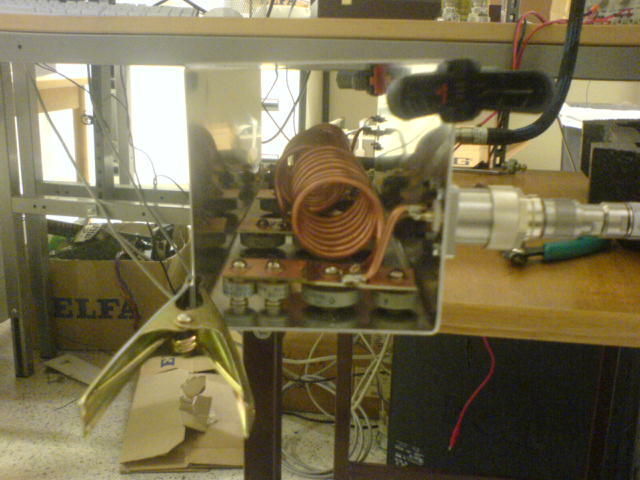 This will give me a HUGE attenuation between radio 1 and 3, radio 2 and 4 in my antenna switch system. 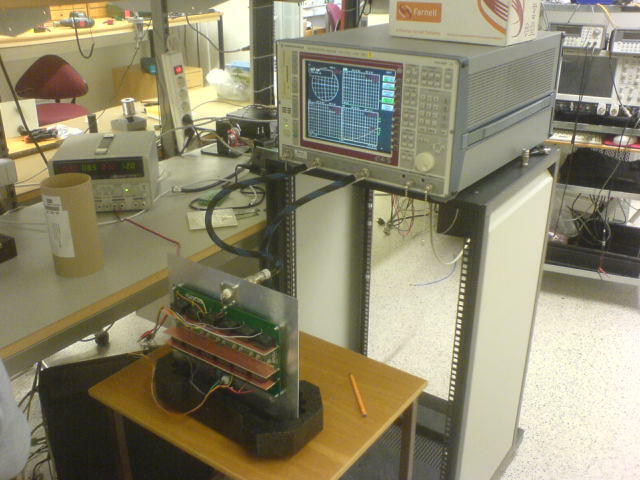 When splitting power between two antennas the VSWR was around 1.2:1 as worst, while when power splitting between three antennas the VSWR was around 1.3:1 as worst. 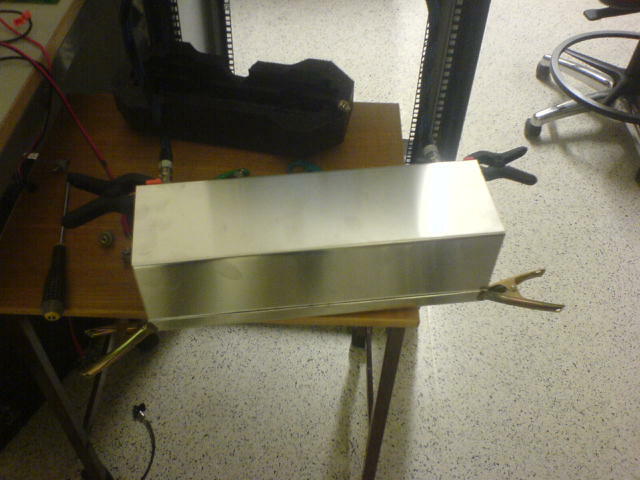 I will do some real measurements when I have the real UN-UN transformer there to be used at my station, since I only had one ferrite (FT240-61) lying around now I just made a fast prototype while my boxes will be having two ferrite’s per box. 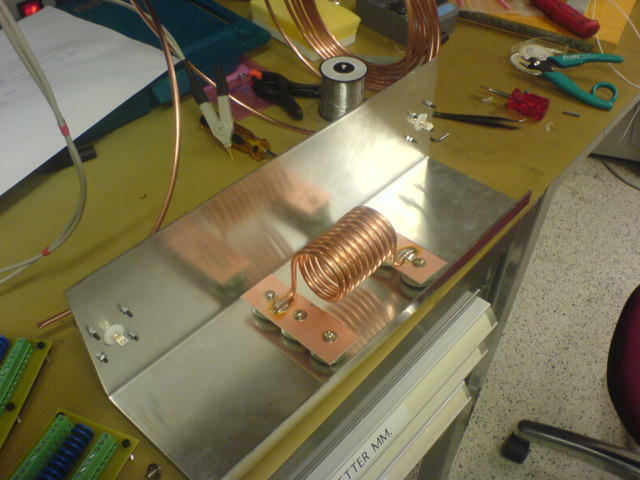 However the measurements should not change much but I will post some graphs on here anyway. 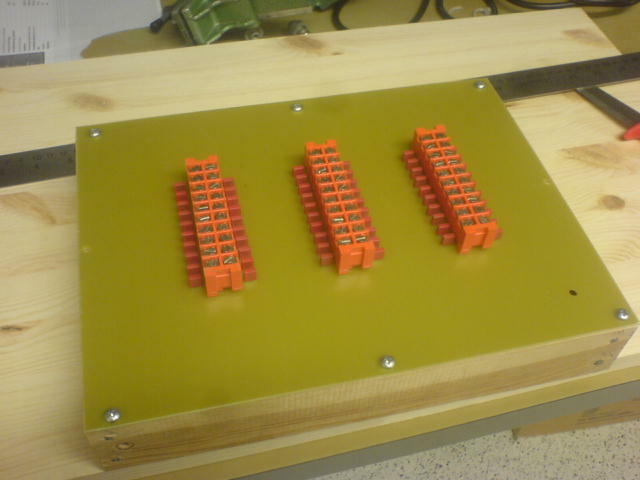 Here are some pictures of the power split and the 6×2 while being tested. 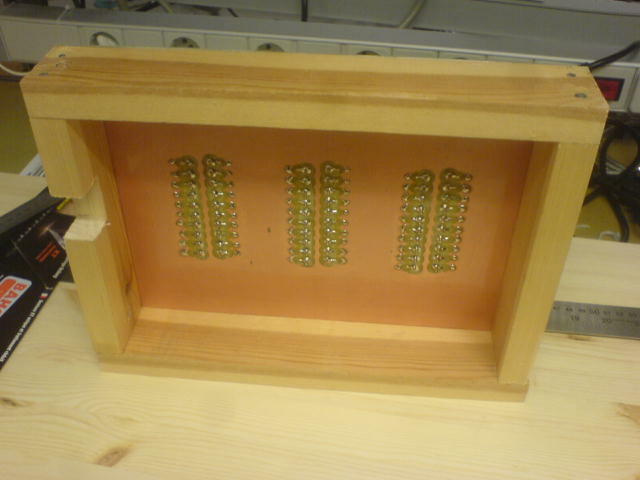 Here you can also see the coil modification done on the 6×2 cards. 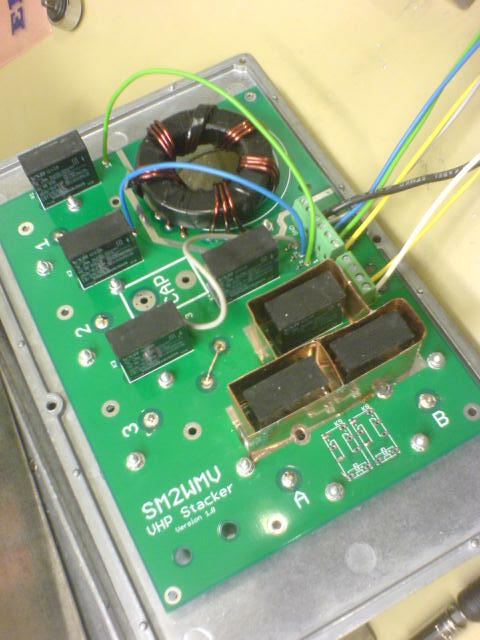 It is not mandatory but it does decrease the insertion loss a little bit.